It's Family Day in most of Canada and it's President's Day down in the US and the latter will mean that there is some early hockey going to today and I generally like to finish these Newsletters ahead of the action, so I will likely be abbreviating this one a little bit, since I'm running late. These Olympics have my sleep schedule all over the place and I was able to play catch-up this morning, if only a little bit. Bear with me, it will be the bare minimum here today. And of course, when you're in a bit of a rush, there is always going to be some tie-breakers, right? Thankfully, the Player of the Week for Week Twenty isn't too difficult, as three players finished with 8 points, but two of them were goalies and since the first tie-breaker is goals scored, Nikita Kucherov of the Lightning was always going to be Antti Raanta of the Coyotes or Keith Kinkaid of the Devils. The Tampa Bay forward played in four games this week, potting a goal and an assist against in Toronto on Monday, another assist in Buffalo on Tuesday, then headed home for a goal and 3 assists against the Red Wings on Thursday and capped it off with an assist against the Devils on Saturday. 2 goals and 6 assists for 8 points and there we have our Player of the Week nod. Given that he leads all skaters in scoring, 2nd overall in pool scoring, it does seem somewhat surprising that this is only his first Player of the Week nod of the season, but it is. His 31 goals and 77 points in 56 games has his name firmly entrenched in the NHL's MVP award race, but he still trails teammate Andrei Vasilevskiy for the hockey pool MVP race, still behind by 6 points. Neil had some pretty good picks this year, but not quite enough in the grand scheme of things, but he can be proud of his 1st round pick, taking him 8th overall, as he certainly got great value for his selection this season. Two teams were able to crack the 40-point mark in Week Twenty and we almost had three teams, when it was all said and done. Four was even a possibility, if the pucks were bouncing the right way just a little more. In the end, a pretty good race ended with one team really getting out there and pulling away a bit, as Stuart's team finished with 48 points, a season-high this year, topping Dale B. 's 41 points in Week Six. This is also Stuart's second Mover & Shaker nod in the last three weeks and he's firmly holding onto 1st place, because of it. 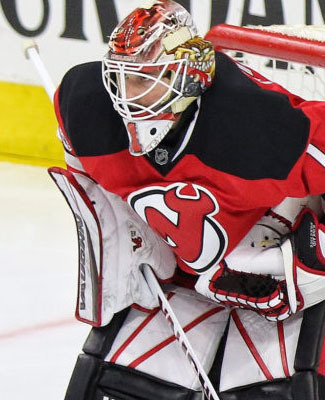 Undoubtedly, one of the leading reasons for Stuart's ascent up to the top of the standings (and arguably, Jeremy's descent) was the injury to Cory Schneider in New Jersey, as Keith Kinkaid, already mentioned as one of the candidates for Player of the Week, has been great in his absence. Kinkaid was a Waiver Draft pickup for Stuart's team and he has cashed in well of late. His 8 points in Week Twenty was great, helping to guide the way to another Mover & Shaker nod. Evgeni Malkin of the Penguins finished with 7 points, while Taylor Hall of the Devils and Tyler Myers of the Jets each had 6 points, Sidney Crosby of the Penguins and Brayden Point of the Lightning each had 4 points. Somehow, Stuart really packed his team with a huge number of good scorers this season and really hit the jackpot, when the injury prone players like Malkin, Hall and Crosby haven't been hurt much this year. It all seemed really unlikely, but there you have it. Still, there are seven more weeks to go and the races are not over quite yet. Speaking of Jeremy's descent in the standings, it continued in Week Twenty, thanks almost entirely to the injury bug, as his team spent a great deal of time on the news page and not on the score sheets, finishing with 12 points in the week and dropping another four positions, from 15th to 19th. If this pool ever needed someone else to make some other teams feel better about themselves, it would be Jeremy's this year. Corey Crawford and Gustav Forsling of the Blackhawks were on the news page all week, due to injury and demotion, respectively, and another Blackhawks player, Vinnie Hinostroza, was a healthy scratch for a game as well. Red Wings players Andreas Athanasiou and Mike Green missed a combined three games this week, illness and injury in these cases. We all know about Cory Schneider and his injury situation and then Ottawa forward Ryan Dzingel needed the latter part of the week to handle some personal matters away from the team. Do these guys not know that they are the life blood of a hockey pool team, collectively? Unfortunately for Jeremy, this is his second Basement Dweller nod in the last three weeks and his season has no real redeeming qualities to it now. The race for 1st place is quickly becoming a two-Greenley race, both are far from horses, but they'll continue to just count their lucky stars that their players are performing at a ridiculous level. Stuart leads Benson by 11 points and now Benson is 17 points clear of 3rd place, which is not insurmountable, but it's seemingly growing, week over week. Dale B. 's team still holds the 3rd place position, but his team is starting to sputter and the the gap between 3rd and 4th place is now shrinking, as Clayton's team is coming on strong. The gap between the two sides is still 23 points, but it already shrunk by 16 points in this last week and that's a trend that Dale's team can ill-afford to continue. Clayton's team isn't alone either, as 5th through 9th, is only 9 points back of Clayton and separated by only 4 points. One good week and any of those teams are right back in the mix too. The plus/minus leader, Steve, took a bit of a tumble in Week Twenty, like the volatile nature of this mini-game will have for his side. In Week Twenty, Steve's team was a combined -7, dropping his overall rating down to +77, 28 points over two teams now, Cam's team and Dale B. 's, Dale's team making a bit more headway in the week here, instead of getting more points in the overall race. Stuart's team had the big week in Week Twenty here too, finishing with a combined +17, but his team was very poor defensively earlier in the season and they had a lot of ground to make up. His team currently sits in 10th with a +20 rating overall, well back of the leader. I wasn't really going to make any mention of the PIM pool, until I saw that Wes' goon squad did tie the weekly record for penalty minutes in Week Twenty with 47, tying Eric's Week Eighteen effort. I don't generally have the specifics in the weekly race, but I can say, Wes has done it without any contributions from one of his goon pickups in the last player swap, Zack Kassian of the Oilers, who hasn't been to the box, since being activated from the swap. Weird, right? I will cap off the weekly recap with the stats, which are remarkably good again this week, the pool has really stepped up and started to collect some points. The record number of points last week, in 53 NHL games, was followed up quite nicely in a 51-game week, only 15 points shy of last week's record. The pool collected 681 points, which was a better game-by-game average, thanks to some great participation levels across the board. Sure, the injury board filled up (thanks Jeremy! ), but we're going to wipe a bunch of names off at the beginning of play today, so that's good too. We're going to be busy down the stretch, most weeks will finish with 50 or more games in the schedule, so there will be plenty of points to be had. Enjoy the week, everyone!